avahi ==> to have your Linux saying “bonjour” to an Apple networked machine. 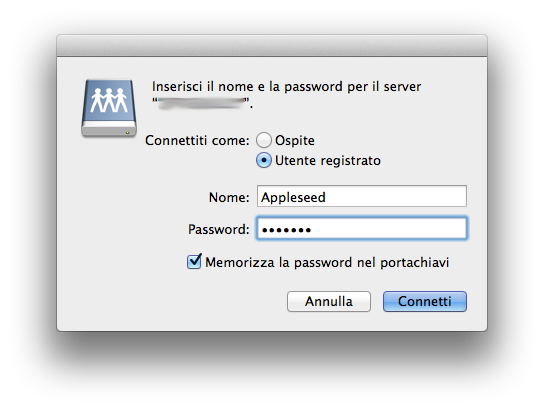 This is optional, since netatalk seems to include it in recent versions. Now suppose that you want to backup your Mac to your Linux, where you have a shared disk bigger than your Mac internal HDD mounted in /media/mybigstuff. 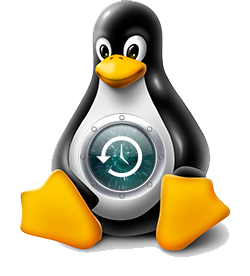 Restart Samba service with command “service samba restart” to take new configuration into account. then click Connect (or + to add to the Favorites). What you instructed Netatalk to do is basically the following: make /media/mybigstuff available as MyTimeMachine to user Appleseed as a TimeMachine volume of max 640Mb size. Because this is not exactly an official Time Machine volume, we need to instruct our Mac to be a bit more tolerant. 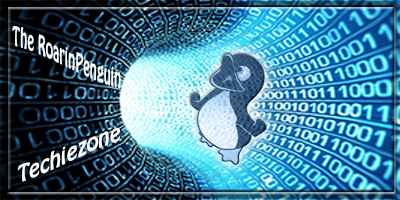 Authenticate once and forever when prompted… et voilà, your system is now ready to perform backups onto the Linux share. Enjoy and… remember to share your comments to confirm the beautiful experience, or correct mistakes I could have made in describing my setup! Thank you so much for the run down, I had be stuck trying to do this for some time! Just one thing when you create your new users on the linux box you need to set their smbpasswd and not just create a linux passwd. …or have Unix authentication for Samba users, or set share level access without password. Thanks for the useful hint! /etc/netatalk/AppleVolume.default or /etc/netatalk/AppleVolumes.default ? Plural I believe. Oh yes, plural indeed! Thanks for the correction, which I’ll integrate in main post immediately. Sorry, i don’t get it. What is the samba-share for? Why don’t you just only use AFP via netatalk? Oh, and what filesystem do you use for the backup-volume? Is there anything important about that? No, as long as it supports the filenames you wanna use. This stops the computer working as a samba server though as now OSX only sees the Netatalk shares. I was able to get this working much more easily using Ubuntu Precise (12.04). The last few lines of the file look like this. All I did was add options:tm to the “Home Directory” line. You should now see your server appear if you open finder (or click on the desktop), hit command-k and click “browse”. Click on your server, click on “Home Directory”. You should now be prompted for your user login for the server. Enter credentials. You have now successfully mounted your home directory via AFP. 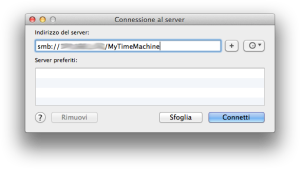 You may now select “Home Directory – servername” in Time Machine. Great comment John! Many thanks! It works ! I’ve searching for a while and you guys finally make it work !!! You wanted to thank you quickly. This works perfectly. As I have a dual-solution, I can be sure that I have an ‘officially supported’ backup on an external USB 3.0 drive but I can also access my files from Windows and Linux from my Debian backup server. Feeling a bit of a “grammar nazi” here, but you meant 640MB right? (megabytes, not megabits) Just to kill some confusions. Thanks a lot for the easy howto though! I’ve set it all up through ssh from work and will try if it works when I get back home. Thank you for trying this. Happy that it worked! Yeah, megabytes was naturally what I was meaning. I couldn’t get my Mac to authenticate and open the server (I’d be having issues since El Capitan in this respect). 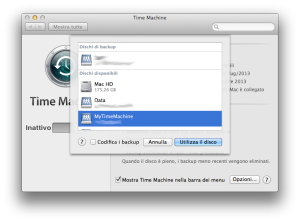 Instead of smb://192.168.x.x/TimeMachine – use the afp protocal and open afp://192.168.x.x/TimeMachine – worked like a charm. These instructions are great! Hey thanks, this was extremely helpful in setting up TimeMachine on my RaspberryPi. A lot cheaper than an Airport! Have you got some specification on the volsizelimit option? According to http://netatalk.sourceforge.net/2.1/htmldocs/AppleVolumes.default.5.html though, the volsizelimit is 1000 for 1GB, so your setup is 640GB and not 640MB.